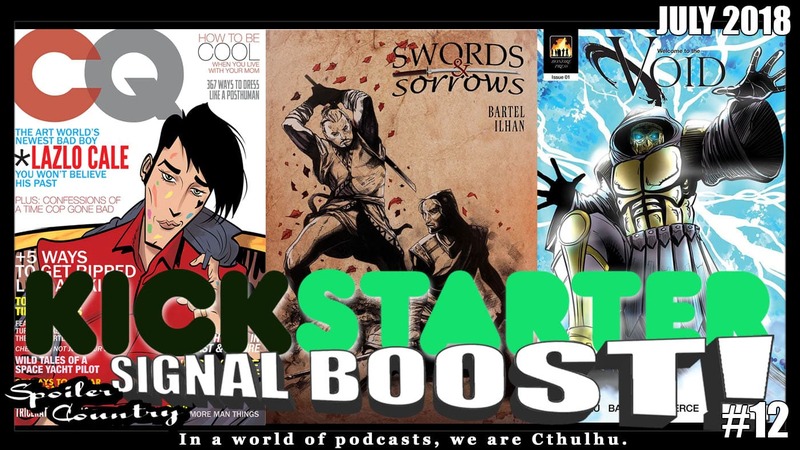 It’s time for another KICKSTARTER SIGNAL BOOST!!! This time we finally bring you the interview with Andrew Maxwell on The Bawdy Tales of Lazlo Cale we teased last month! We also talk with Conner Bartel on Swords and Sorrows. And We go Into the Void with Chuck Pineau. ← Ant-Man and the Wasp!